At random times, I search my onscreen TV Guide for anything with Adam Lambert. I’m sure many of you do it too, right?! The other night I found The F Word with Adam Lambert, debuting the next day. I set my DVR, came home from work and watched it at the end of my evening. What I found was a most enjoyable 30 minutes, just listening to Adam talk about many things, including Fame: how he deals with it, how he feels about it, and the pressure. At 3:25 he starts speaking so lovingly about his fans and how they protect him, have his back and that he thinks of us as his “big sister in the big mean world!” What a sweet and flattering way to think of us! My only regret is the accompanying pictures of the fans don’t seem to project his American fan base. I thought this was recently shot since the visuals include his tour with Queen but after some searching, I see it’s from 2012. I don’t know how I missed it, but I’m so glad I finally found it. Here is the entire video shortened to 20 minutes without commercials, in case you missed it or don’t get the Music Choice channel. Tell us below what your favorite parts are! OMG this is so great, thanks. I can’t believe I haven’t seen this. How wonderful this is. I watched it again and am still amazed I missed this. Thanks Carol. I’ll share it with my Glambert email group. Keep up the good work of finding interesting Adam articles or videos. So excited for the Rock in Rio. You’re welcome glamity58! I’m so glad to know how much you enjoyed it. I see I’m not the only person watching it more than once! Thank you for your continued support & appreciation of our work on this site. It’s great to read your comments! This was such a pleasure to watch. It is so much fun to just listen to Adam speak because he always has so much to say that’s interesting, relevant and intelligent. I can never get enough of his insights and sensible perspective on the world. By the way, does anyone know who is that guy who is often seen at Adam’s shoulder with the long blond hair? Is he a publicist or a friend? That’s Roger Widynowski. He used to be Adam’s publicist when he was signed to 19Entertainment/RCA. Because there were so many pictures with Roger & Lane, plus Sauli also, that made me doubt the newness of the piece. They fooled me by putting in a picture from one of the Queen concerts. 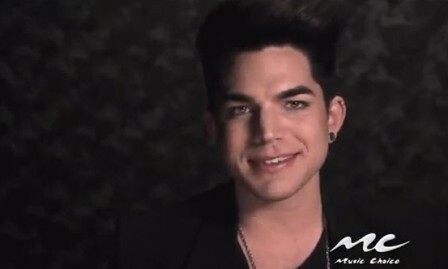 Here in Australia we don’t seem to get very much news of Adam & have to catch up with anything on YT. I just watched the interview from the Brit Awards…..also there’s a very funny vid. on YT – “Queen & Adam Lambert – Behind The Magic” it’s 14 mins of utter hilarity from the crew….. This was amazing. Watched it twice. He’s so grounded. That’s one of the things I love about him. He’s not full of himself…has such humility. I so love this site and love how you dig for our pleasure. Saw our guy with Queen, twice. AMAZING!!! I live in FL but happened to be home in the Philly area when they were in. Saw them in Philly and then in Atlantic City. Feel so lucky to have had that experience….twice!!!! Thanks Carol….this shows what ADAM is really all about. He is so humble it brings tears to my eyes. He will always be my number one. I have never joined a fan club in my life until ADAM came along. I”m so glad you found it online! It made it easier for me to watch. Love(d) it! Thanks Carol. Loved the video. I got to see Adam with Queen plus two of his Live Nation concerts. The video reminds us of why we love Adam so. He’s honest, cute, eyes and a smile that melt your heart and a voice of an angel. I have to get an Adam fix every day. Even got to meet him once. YES!!!!! !